The programme of talks, tours and demonstrations starts at 10.30 am, but registration is available from 10 am onwards. You don't have to register on arrival if it clashes with a presentation, but please remember to pop back during the day. The day will officially close at 3.30 pm. Approximately two weeks before the event, we will send the programme to you, and also post it online. Take advantage of the planning page within the programme to make the best possible use of your time while here at NTU. The programme will also give you information on travelling to the University, parking etc. If you book to attend a general open day within the two-week period prior to the event, please look at the online version of the programme, as we cannot guarantee to get it out to you by post before your visit. 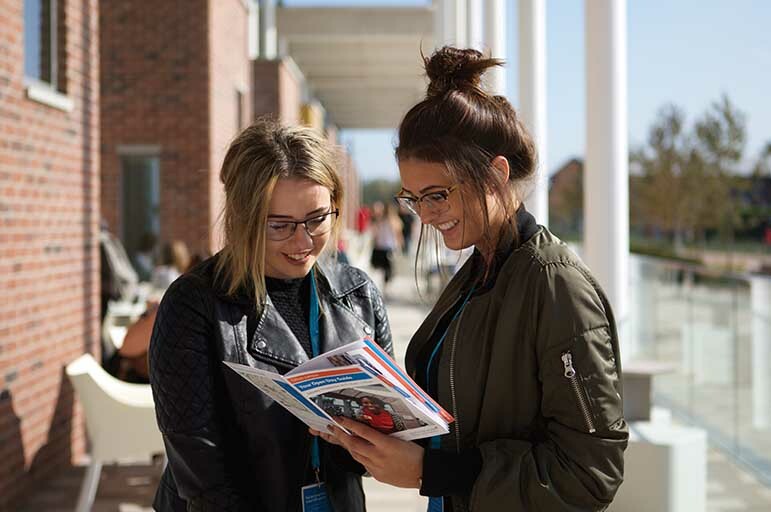 Our packed open day programme enables you to attend general and subject-specific talks, speak to staff and current students, and to tour the campus, accommodation and facilities. In addition, you can find out more about Nottingham and what our admissions tutors are looking for in your personal statement. Your programme will be posted to you approximately two weeks before the event, and will also be available to download online. There's a planning page at the back of the programme which will help you make the most of your day at NTU. You'll also find information about getting to NTU, parking and other practicalities in your programme. If you book to attend a general open day within two weeks of the event, we'll email you with a link to the online version of the programme, as you won't receive one in the post. Programmes are available to pick up when you arrive.